If you depend on genetically engineered animal models in your research, colony management can consume a disproportionate share of your team's resources and attention. Cryopreservation is often the solution, protecting your investment while all but eliminating the expense of maintaining live colonies. 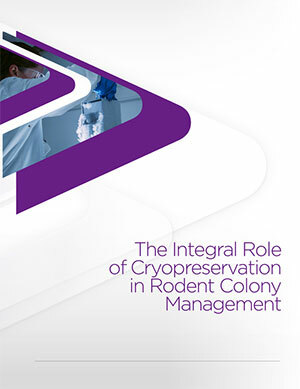 Download this free cryopreservation white paper to learn how cryopreservation makes colony management more humane and cost-effective, while insuring against catastrophic loss. Learn how cryopreservation makes colony management more efficient and humane. Explore the differences between modern sperm and embryo cryopreservation techniques. Discover how you can protect genetically engineered models against genetic drift – and catastrophic loss. © 2017 Taconic Biosciences, Inc. All rights reserved.